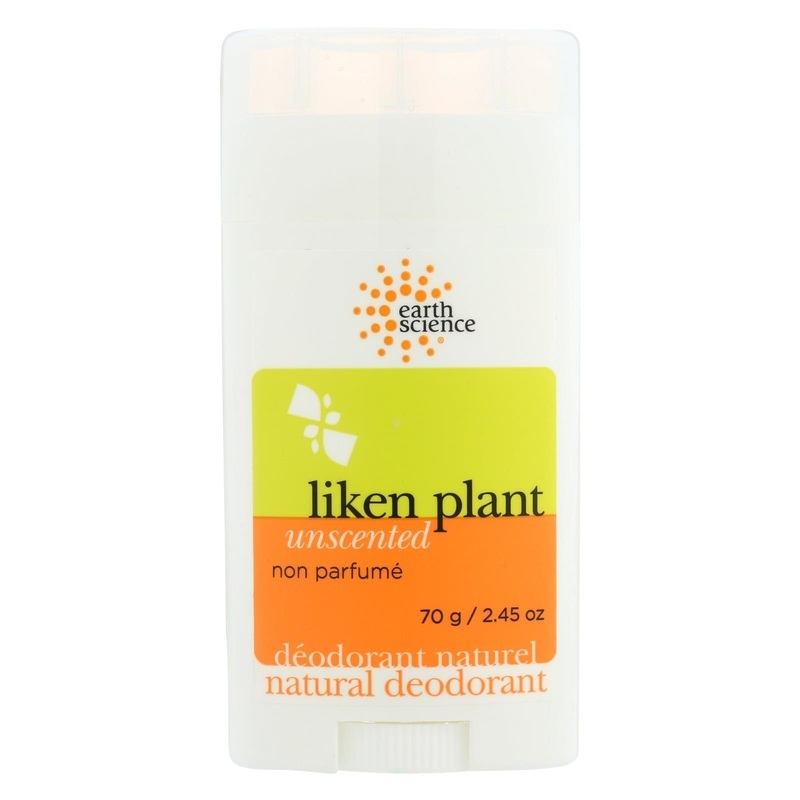 Earth Science Liken Plant Natural Deodorant Unscented Description: Earth Science uses Lichen Plant Extract in this gentle, effective and long-lasting formula to control odor all day long without aluminum or other harsh chemicals. Disclaimer These statements have not been evaluated by the FDA. These products are not intended to diagnose, treat, cure, or prevent any disease. 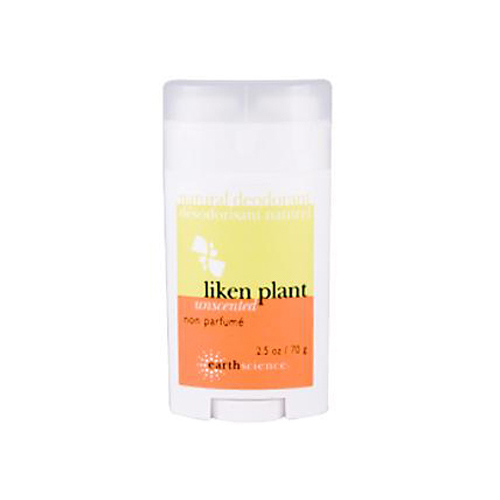 Ingredients: An herbal infusion of Calendula, Sage, Goldenseal, Ginger, Arnica and Coriander Extracts in Propylene Glycol, Water, Sodium Stearate, Lichen Plant Extract, Chamomile Extract, Silica. 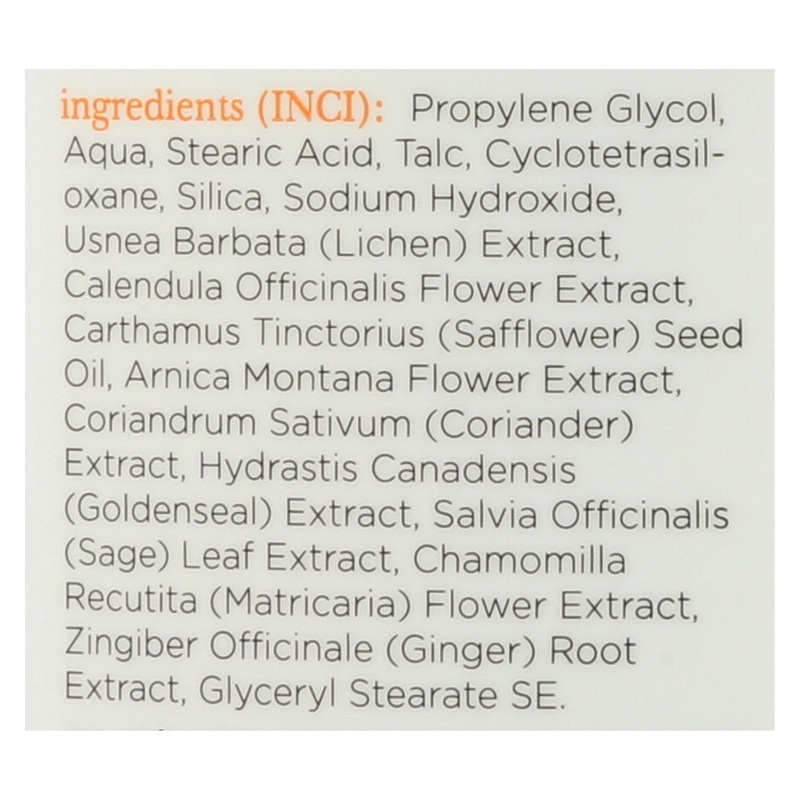 Calendula, sage, goldenseal, ginger, arnica and coriander extracts (in propylene glycol), water, sodium stearate, lichen plant extract, chamomile extract. 4.58" x 2.29" x 1.27"